SAN FRANCISCO, CA--(Marketwired - Jun 24, 2015) - Today Mashape is bringing real-time analytics to microservices with the release of Mashape Analytics. First built internally to analyze the performance of more than 13,000 APIs served by the mashape.com marketplace, this powerful new tool provides developers with robust visibility into their APIs and how they function within microservices, saving hours in usage monitoring, troubleshooting and debugging. 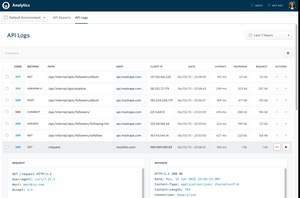 The first purpose-built, open analytics platform designed specifically for APIs and microservices architectures, Mashape Analytics also lets developers and DevOps teams understand which APIs are used most frequently, from what endpoints and by which paying customers, so they can prioritize stability and new feature development to better manage their applications. "Most existing analytic tools are one-dimensional, not scalable and typically only included as part of a larger suite that comes with a hefty price tag," said Augusto Marietti, CEO of Mashape. "Mashape Analytics is a stand-alone tool that has been proven through extensive use in our own marketplace. For the first time, developers and DevOps professionals now have access to microservices-aware insights in real-time, giving them the power to more accurately track performance across the applications driving their business." Existing network and application performance monitoring tools do not provide the level of visibility and insight developers and DevOps need. Mashape Analytics is a dedicated API visualization and business intelligence platform that provides instant clarity on API usage patterns and the volume of requests processed, and detects bottlenecks and systems issues in real-time. It allows developers to identify slow endpoints through A/B testing, and provides instant visibility into the most important endpoints for their APIs so they can optimize for them. Developers can also use Mashape Analytics to monitor and analyze communication between microservices hosted inside Docker containers. As more organizations move towards a microservices architecture, developers have a more urgent need for cross-organizational visibility into API behavior, as one faltering component can leave an application prone to latency issues that can cost a company millions. "Mashape Analytics has been awesome for us," said Justin Keller, founder of Commando.io. "It provides visibility into our API usage and reduces the 'black box' of requests and responses. We can view which accounts are most active, and segment requests by type; API, GitHub integration, and mobile." 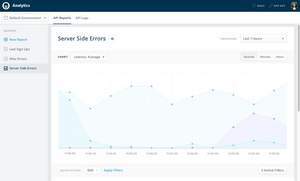 Mashape Analytics provides real-time insight into API usage, performance and microservices functionality, offering developers and DevOps teams fine-grained visibility in server side errors, API log files and more. Mashape is transforming how software is created in the digital business era by streamlining the distribution and consumption of data and services through APIs. Mashape.com is the world's biggest API marketplace, processing billions of API requests for more than 150,000 developers worldwide and managing and distributing 13,000 APIs from startups like Imgur to enterprises such as Best Buy, and thousands of API consumers including Amazon, Citibank, Hyatt, Accenture, NASA, Target and DHL. Based in San Francisco, Mashape was founded in 2010 and is backed by Jeff Bezos, Eric Schmidt, CRV, NEA, Index Ventures, and Stanford University. To learn more, please visit www.mashape.com.